You're here because we met at Filex. To help me celebrate my first year going to Filex and the spirit of fitness professionals investing in being more awesome, I want to offer you a special deal on my excellent database of bootcamp ideas called BootCraft. You can read all about what BootCraft is below, the quick version is that it's kind of like Netflix for workout ideas. 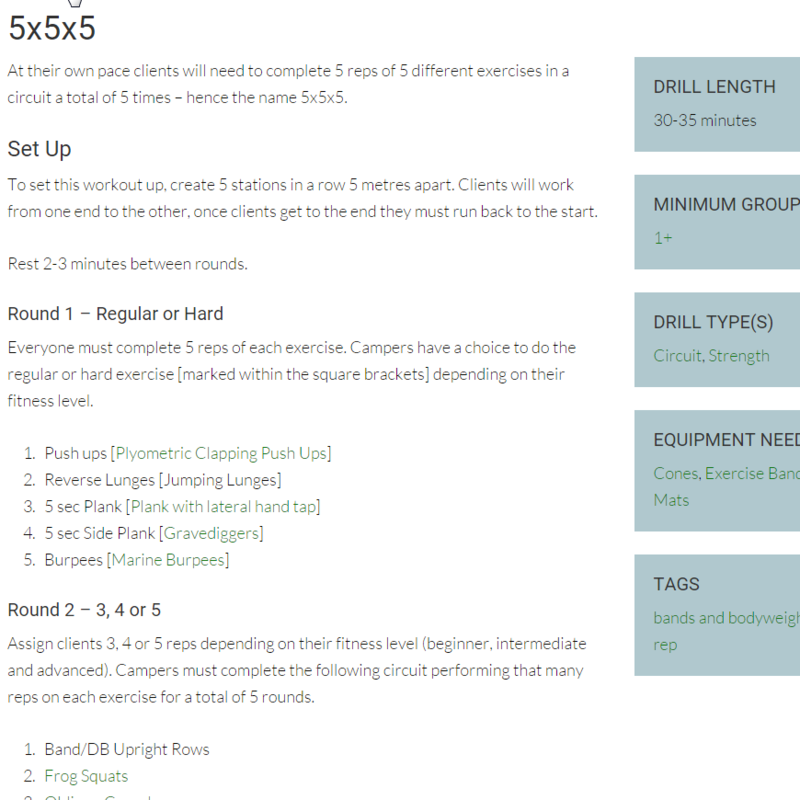 Each month we add new drills and ideas we've been testing for you to use at your bootcamps. All are easily searchable with our powerful filter settings (works like Amazon's product browser). Let's get back to that deal though! Normally the price for BootCraft is $15/month or $120/year, this week though you can sign up on the yearly subscription for just $96/year. That's 20% off! Let me share with you a scenario. No ideas come to mind. The page just stares back at you... blankly (pun intended). An idea comes to mind. Nope. You did that one last week. What about that other idea? Nope, you did that one a few weeks ago too. 20 minutes later you find yourself flicking through Facebook or checking your email and the workout still isn't done. Begrudgingly, you turn back to your blank page to try and will a new workout into creation. Does that sound familiar? It was certainly my reality as I tried to come up with three or more fresh workout ideas each week. But what if it didn't have to be that way? What if when you sat down to plan your workout all you would need to know is what type of workout you want your clients to do? 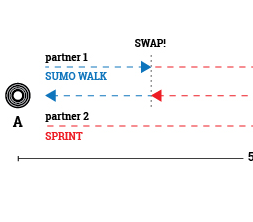 Imagine with a click of a button being able to browse dozens of group fitness Strength workouts. Or HIT workouts. Or Bodyweight workouts. All designed to work with a range of fitness levels. Then once you've picked your workout, with a few more clicks you can find a new warm up to use too. A couple of copy and paste's later and your planning is done leaving you to get back to the other important things in your life. That sounds pretty nice right? It's what I always wanted when planning sessions. So over the past 6 months, I made it for you. Five years ago I started a website called Bootcamp Ideas. A website to share great bootcamp workouts with the world. Since then it's grown into a community of tens of thousands of trainers from every corner of the globe with hundreds of workout drills published. There is one thing that has always bugged me about it though. After I post a workout, it eventually disappears into the archives of the site never to be seen again. That's the nature of a blog like Bootcamp Ideas. So I created some ebooks of these lost workouts so that trainers could download a copy of them all to refer to. The problem with that though is that ebooks quickly fall out of date and require a lot of work to update them. What we really needed was a searchable database that we could put awesome ideas in . 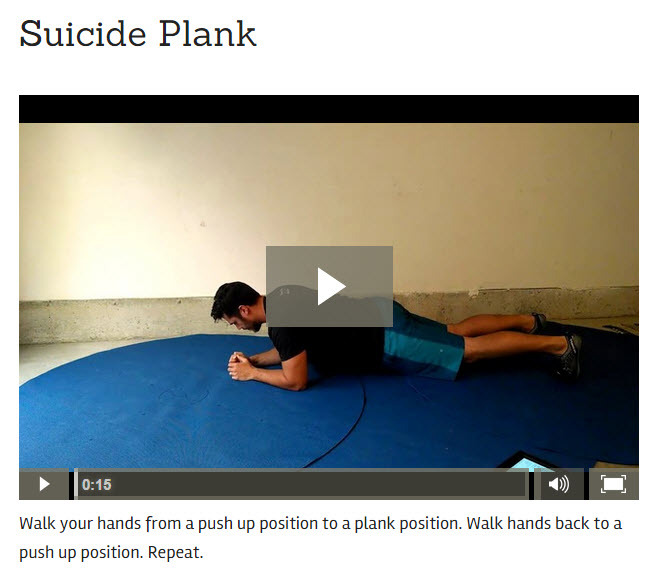 One that was accessible online, all of the time that we could keep adding new workouts to. That's were the original idea for BootCraft came from. A search engine for just the best workout ideas. Now trainers can have access to a constantly growing database of workouts. We do the work testing, timing and perfecting them so all you have to do is pick which one you will use at your session tomorrow. No more hunting through YouTube or digging through blog archives or staring at blank sheets of paper trying to find ideas. With BootCraft you get on-demand workout ideas, whenever you need them. I've designed BootCraft to be simple and intuitive to use. Over 300 drills at your fingertips! 24 hour access. Workout ideas when you need them. 12 new ideas added each month! Joining is really easy and you can cancel at any time. You are in complete control of your membership. Choose from monthly or discounted annual subscriptions below to sign up and I'll see you in there! Unlimited access as long as you stay a member. On demand workout ideas when you need them. Save hours of time coming up with new ideas. Works out to just $8 per month. Keep that price for life. Prices and charges are in Australian Dollars. Check out what members are saying! I joined Bootcraft because I was sick and tired of doing the same workouts over and over again. And always leaving things to the last minute and googling workouts late at night on my phone before bed. If I as the trainer was getting bored then surely my clients were too. Now, I actually look forward to planning my workouts because I know it's not going to be a big painful task! I know I can sit down with BootCraft open and plan the whole weeks (or months) worth of workouts. I save so much time I actually get to enjoy the life a trainer should have! Plus, I love anything with ropes and tyres! They are something I've just introduced to my clients and they keep asking if we can "do the tyre workout again!" 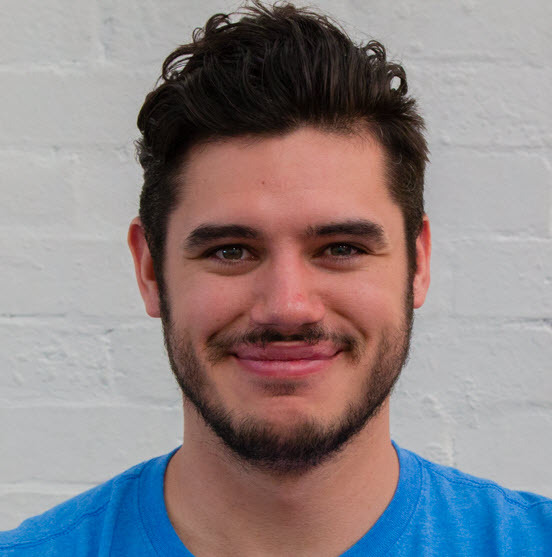 I joined BootCraft because I had been to a workshop that Kyle ran in Melbourne and found it really beneficial. I got a lot out of it, both in terms of drills and ideas for formatting my sessions, but also met some great people and have even stayed in touch with a few. It’s a great way to get ideas when I’m stuck and keeps my sessions fresh and not boring for my clients. BootCraft has given me structure! I was just starting out with group sessions and wasn’t really getting my campers to play games, more just getting straight into the session, which isn’t as fun! It has taught me to start with a warm up, play a game, do the workout and then cool down. Most of my sessions are now run to this format. Read more reviews from real trainers here. Click on a question to expand the answer. What exactly do I get from being a member? 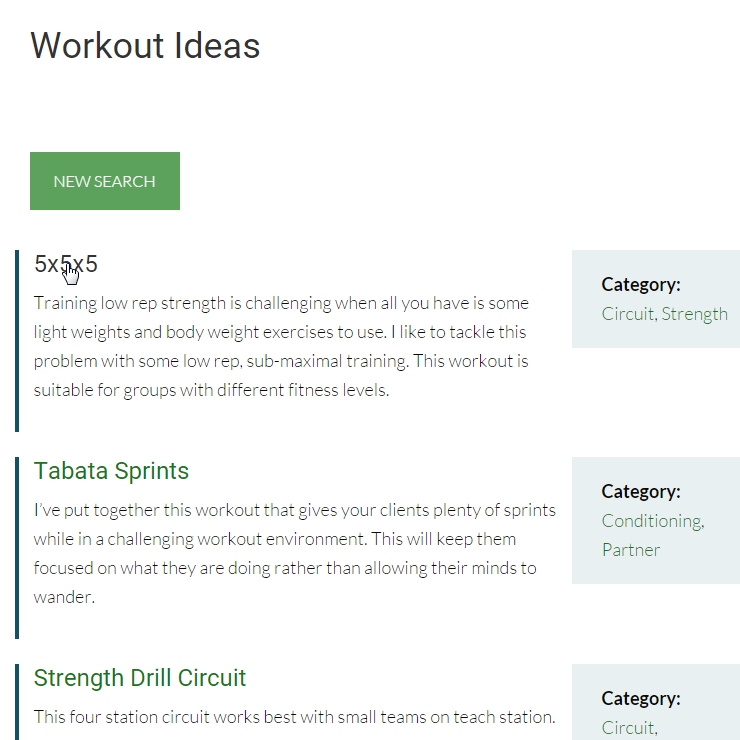 You get access to BootCraft's growing database of workout ideas. 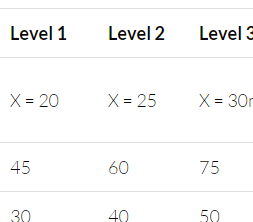 Currently there are over 118 categorised drills for you to use. If you are unsure, try the monthly option out for one month, it's only $15, if you like it you can always upgrade to a yearly membership later. My credit card isn't being accepted. What's going on? Prices are in Australian Dollars so your card may get flagged for an international transaction. This is usually easily fixed by letting your bank know that you did indeed make this transaction. What are the planned features that you hinted at in the video? I don't want to say too much because things may change. I want to create features that our members want. 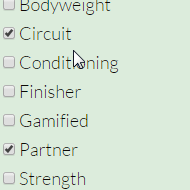 That said, some things I would like to add are favourite workouts (so you can find them again easily), coaching tutorials for new trainers, more search filters (this will come as the database gets larger) and a rewards system for contributing your own workouts. I've teamed up with Memberful and Stripe to securely handle your subscriptions. When you are logged in you have access to your account details. From there you can easily adjust your payment method or cancel. It's like an unlimited pass to a candy store (workout drill candy that is).